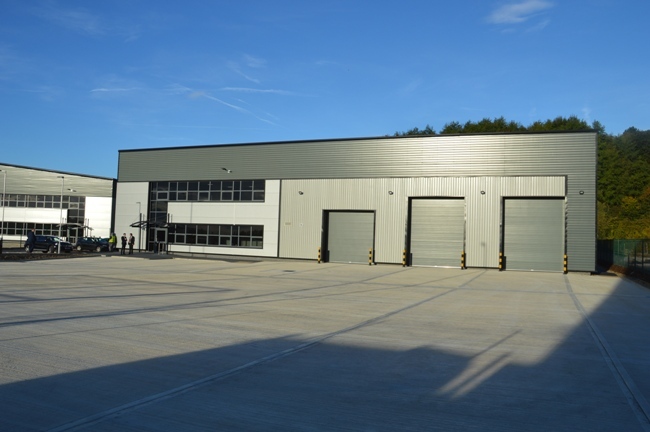 Yorkshire developers CDP Marshall have completed two new speculative buildings at the successful Capitol Park Barnsley at Junction 37 of the M1. Unit B, which comprises 23,900 sq ft of prime industrial space, has already been let to Yorkshire conservatory specialists SolarFrame Holdings. SolarFrame have signed a 10-year lease at a rent of £5.75 per sq ft. The 15,000 sq ft Unit C is available for sale or to lease, with immediate occupation. Both buildings are located on a 12.63 acre site, which was granted planning permission for general industrial use, together with storage and distribution facilities. Once fully developed, 500 jobs will be created at latest phase of development at Capitol Park, as it is transformed into a quality industrial and business location. CDP Marshall have worked closely with Barnsley Metropolitan Borough Council and Enterprising Barnsley to bring forward the development. Chris Marshall from CDP Marshall said: “Our decision to develop these two buildings speculatively has been vindicated by the deal with SolarFrame, who signed on practical completion of Unit B. SolarFrame’s decision to move here is a resounding endorsement of Capitol Park, Barnsley, which is already established as one of the finest mixed-use business parks in South Yorkshire. Rebecca Schofield, partner and head of property consultancy Knight Frank’s industrial property team in Yorkshire, who is advising Marshalls, said: “The completion of these two quality buildings, coupled with the SolarFrame deal, is tremendous news for Capitol Park. Coun Roy Miller, cabinet spokesperson for Place at Barnsley Council, said: “We are delighted that SolarFrame, a growing local manufacturing business, has been able to expand within Barnsley. “Our highly successful Property Investment Fund was established to work proactively with the private sector to provide first class commercial developments, for growing local companies and inward investors, at key locations throughout the borough and Capitol Park is a perfect example of what can be achieved by doing so. Iain McPhail, partner with Knight Frank’s industrial property team in Leeds, said: “The location of Capitol Park Barnsley is key. It is already proving very popular with new occupiers including Gem Imports and the NHS, who have a blood facility on site. SolarFrame were represented by Andrew Corbett of leading South Yorkshire chartered surveyors Smiths.